From Accra: Take main road connecting Accra to Tema Motorway and head towards Aflao, covering a distance of about 88km and make a right turn at Ada Kasseh and drive a distance of about 21km to Ada Foah. From Aflao: Take main road from Aflao to Accra and make left turn at Ada Kasseh (about 99km from Aflao), head to Ada Foah covering another 21km. From Accra: There is a reagular connection (1 1/2 to 2 1/2 hours, about 120 km) from Tudu Station or from Tema Roundabout. Some Tro-Tros go directly to Ada Foah, with others you have to change in Ada Kasseh. The usual times of operation are between 4.30 am and 9.30 pm, but can vary according to the day of the week. From Aflao: Take a Tro-Tro in the direction to Accra and alight at Ada Kasseh (2 hours, about 99 km). At Ada Kasseh take tro-tro going to Ada Foah/Big Ada. If you feel like taking the water route, consider joining the ferry to the market in Anyanui on Wednesdays. This is a very fun way of getting to the other side of the Volta River with a big crowd of locals who bring their products to the market. The ferry leaves Ada Foah around 8 am and 3 pm and returns from Anyanui around 1 pm and 6 pm. It takes about 1 1/2 hours one way. These are only approximate times – in general, the ferry operates similar to the Tro-Tro: it leaves when it’s full. Taxis are readily available, either by car or by motorcycle. Even though motorcycles are not officially allowed to operate as taxis, it is a very common and affordable means of transport. And it can bring you to faraway places that don’t seem to be accessible with any vehicle. Just stand at the street and stop a passing one. You can also ask your guesthouse or the Tourist Information Center to book one for you. The best way to get around is the ever present Tro-Tro (small bus). 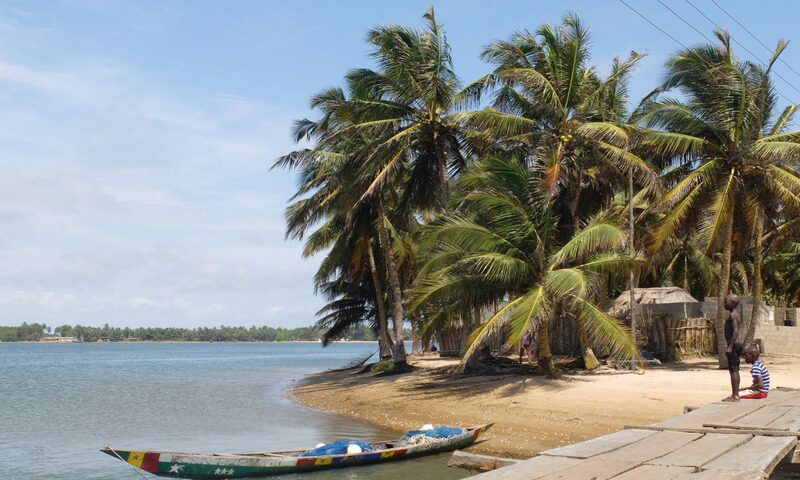 It’s easy to get there from Accra with a reagular connection (1 1/2 to 2 1/2 hours, about 120 km) from Tudu Station and also between Ada Foah and Kasseh (about 20 km). The usual times of operation are between 4.30 am and 9.30 pm, but can vary according to the day of the week.